Hace unos días Xnet y Copyright for Creativity publicamos documentos filtrados por Statewatch en los que se revelaban las presiones del Gobierno español, junto con el de Francia y Portugal, sobre el Consejo en favor de la implantación de tecnologías automáticas de escaneo y filtrado masivo de contenidos, la llamada #CensorshipMachine. El Consejo de la Unión Europea, presidido por Estonia, acaba de publicar su propuesta de compromiso para la reforma en curso de la Directiva de Copyright en la UE. Respecto al artículo 13 – escaneo y filtrado masivo de contenidos automático, también conocido como #CensorshipMachine -, el texto es altamente alarmante ya que el Consejo ha empeorado la ya de por sí mala propuesta de la Comisión Europea agravando el desproporciono ataque a la libertad de expresión e información y privacidad. Esto es el fruto de las presiones que denunciamos. Más abajo podemos ver en la tabla comparativa elaborada por Copyright for Creativity cómo la propuesta del Consejo satisface las demandas del Gobierno español, francés y portugués. Es además muy alarmante ver como la presidencia de estonia se han subido al carro de “vamos a reescribirlo todo” sugiriendo una redefinición del concepto de “comunicación pública” con la que logran equiparar casi todo Internet con The Pirate Bay. Básicamente considera que todos los proveedores de servicios de la sociedad de la información que organizan contenido subido por sus usuarios son culpables hasta que se demuestre lo contrario y, por extensión, todos sus usuarios. Esta postura contradice el enfoque cuidadosamente ponderado del TJUE sobre “comunicación pública” y el hecho de que los muchos criterios que ha identificado a lo largo de los años no pueden leerse aisladamente unos de otros. Esta doctrina legal de pasar por encima de la presunción de inocencia ejemplifica la deriva autoritaria de la UE de la que el Gobierno español es ampliamente partícipe. Un enfoque jurídico que llevamos tiempo denunciando, el de tratar Internet como un espacio aparte del mundo real en el que existe una mayor flexibilidad para pasar por encima de nuestros derechos y libertades. Sin embargo, nuestros derechos son los mismos en Internet y deben tener las mismas garantías. Recordamos una vez más que si permitimos que esta narrativa de “excepción” se instaure en Internet se genera una, pendiente resbaladiza que consiente socavar sin remedio y con gran ligereza los derechos en cada vez más ámbitos, tal y como lo estamos viendo claramente en estas últimas semanas. El ciclo es siempre el mismo: primero en Internet y luego en el espacio físico, haciendo retroceder todos los derechos y libertades que ya estaban afianzadas. While the distinction of ‘large amounts’ is questionable as a criteria, at least it places some limits to the scope of Article 13. Removing this means that all platforms, big or small, are covered by this provision. There is text implementing a form of size limit introduced in the paragraphs of the article (see below). The text also suggests that platforms ‘use’ content that is upload by third parties. punishing service providers for organising content in a findable manner. The result is a bonanza of legal uncertainty. This imposes a mandatory obligation to conclude licensing agreements. To us that seems contrary to contractual freedom. What if both parties prefer another form of agreement than a license? What if the terms of the only agreement proposed are absurd? 2. Without prejudice to paragraph 1, Member States shall ensure that all information society service providers that store and give access to significant amounts of copyright protected works or other subject-matter uploaded by their users, upon request from rightholders and subject to supply of the necessary data to allow the identification of their content by service providers, take measures to prevent the availability on their services of works or other subject-matter identified by rightholders. Those measures, such as the use of effective content recognition technologies, shall be appropriate and proportionate. This is without prejudice to the possibility for rightholders and information service providers of entering into voluntary agreements allowing for the use of the protected content. b) in the absence of an agreement, to prevent the availability on their services of works or other subject-matter identified by rightholders through the cooperation with. The measures shall be applied by the information society service providers. Those measures, such as at the use of effective content recognition technologies, request of rightholders to specific works and other subject-matter as identified by them. The measures shall be appropriate and proportionate, taking into account, among others, the nature of the services, the type of works or other protected subject-matter uploaded by the users of the services, the availability and costs of relevant technologies and their effectiveness in light of technological developments. The notion of ‘large amounts’ is being turned into ‘significant amounts’. However, this does not solve anything, as this remains an undefined legal concept that has been criticised by academics, such as the Max Planck Institute. The Estonians are trying to obfuscate the fact that Article 13 remains a censorship filter by removing the reference to the use of effective content recognition technologies. However, online platforms still need to take ‘effective‘ measures to uphold their agreements with rightholders (which could contain requirements for platforms to use effective content recognition technologies), or in the absence of an agreement they still need to prevent the availability on their services of works or other subject-matter identified by rightholders. The latter will be very hard to achieve for online platform without the use of effective content recognition technologies! The fact that the paragraph keeps referring to the use technologies leaves no doubt about this. Here again the Estonians try to add lots of words (e.g. availability, costs, effectiveness, etc.) that in their view seems to ease the pain at first sight. However, these criteria do not acknowledge that the market for filtering technologies only has a limited number of players and even less who provide ‘effective’ solutions. It also forgets that the discussions on implementing these measures will start at a level of ‘rightholder threatens to sue platform’, where the platform is likely to pretty much do anything to avoid liability and court cases in general. This provision then ensures that all online platform storing and giving access to user uploaded content are being pushed into implementing effective content recognition technologies, as they need to prevent the availability of any content identified by the rightholders. The Estonians are adding some burden on the rightholders, as they now have to request online platforms to give information them about their filtering efforts. The provision also removes the reference to information on the recognition of works, but still remains more detailed than the vague provision put forward by the French, Spanish and Portuguese Troika. 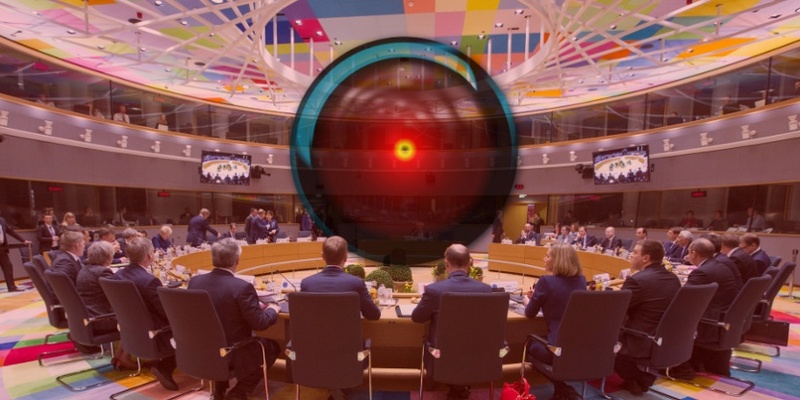 Where initially it was up to the online platform to give information about their filtering efforts to the rightholders, Member States are now being dragged in to ensure that they do so. We can imagine that Spain, France and Portugal are keen on taking up this role as ‘whip’ to ensure discipline amongst online platforms. However, it remains to be seen if other Member States are as comfortable with it. 21c. Member States shall ensure that for the service providers referred to in paragraph 1 put in place complaints and redress mechanisms that are available to users in case purpose of disputes over the application of the measures referred to in paragraph 11a to specific works or other subject-matter of rightholders, the rightholders shall provide an information society service provider with the necessary data. The recent recommendation of 56 academic already criticised the idea of promoting the rightholders to judge, jury, and executioner. Because the rightholder is “a party with strong incentives to disallow use” (p. 13). Their comment was made in the context of the Estonian Presidency’s compromise proposal, which coincidentally also proposed to do the same. Ensuring that the “rightholder shall duly justify his/her decision” is just putting a band-aid over bad legislation that will severely hamper citizens freedom of expression online. Neither the service providers nor the user will likely be tempted to pick a fight with the rightholder over their decision. The Estonians want to remind everyone that there is no escape to this legislation by establishing one’s business outside of the EU. However, we have serious doubts about the enforcement of this provision against rogue websites based in 3rd countries. Therefore, we fear that this provision will remain toothless against the real infringing websites, whilst breaking the Internet for all users and for law abiding online platforms. Just as in paragraph 1 the Estonians think they can alleviate a lot of the concerns surrounding the proposal by no longer explicitly talking about content recognition. This makes us wonder which ‘appropriate and proportionate technologies’ Estonian companies have invented that will magically do everything required by this Article without applying content recognition? The explicit reference to ‘technologies’ leaves very little room for alternative measures . Talking about the cost of filtering technologies is the delegations’ attempt at throwing in an artificial sweetener to make it easier to swallow this bitter pill for online platforms. However, doing so neglects the fact that implementing ‘effective content recognition technologies’ it’s not that easy as throwing a couple of bucks at it, as we have previously explained. The reform claims to harmonise copyright in the digital single market, but instead this provision encourages the creation of 27 different sets of sanctions. Talk about missing the boat entirely! This notion of ‘professional capacity’ is very difficult for online platforms to assess. Should they start asking all their users to provide their VAT or company number if they have one in order to define who’s ‘acting in a professional capacity’?